As a Wedding Photographer based in Kent and London, I have the pleasure of photographing Weddings at some spectacular venues. I was thrilled when this lovely couple contacted me to photograph their Wedding in Mayfair. The ceremony was held at the spectacular farm street church also known as the Catholic Church of the Immaculate Conception. 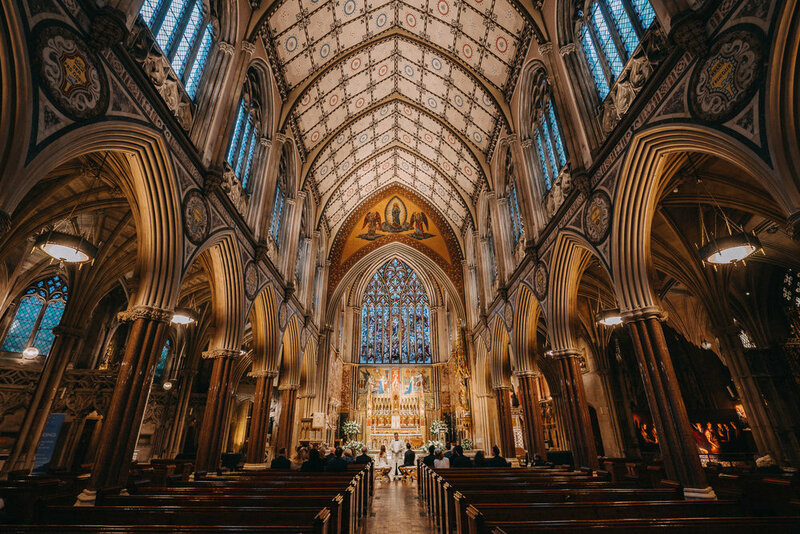 The interior of the Church is simply breathtaking and I was really excited to photograph a ceremony in such a majestic setting. The rest of the Wedding was set in an equally spectacular setting - the Connaught Hotel in Mayfair. The interior of the hotel has to be seen to be believed, particularly the staircase - perfect for Wedding portraits. Being a Winter Wedding, we didn’t have much light to work with but found a beautiful Christmas tree just outside of the hotel which provided me with a beautiful backdrop for some timeless Wedding portraits. I really enjoy Wedding Photography in London due to the variety of venues and the quickly changing environment around them. 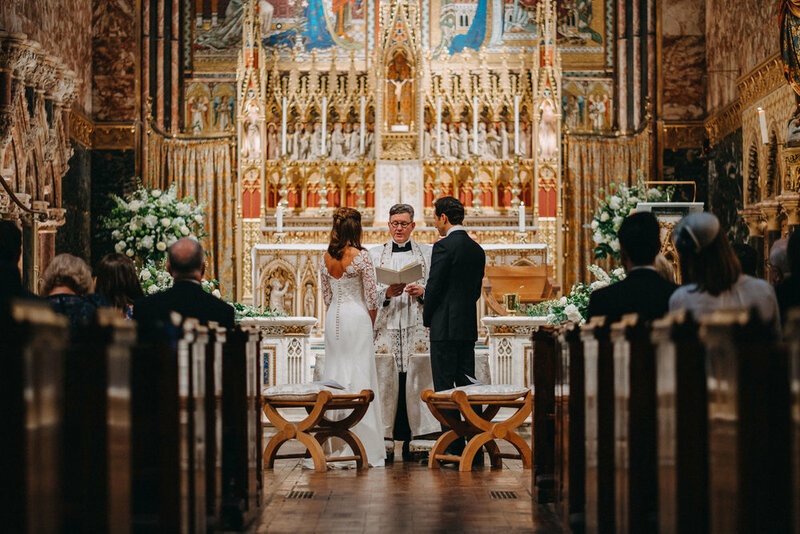 Here are a select few highlights from this beautiful Mayfair Wedding! If you’re interested in hiring me to photography your Wedding in London then please get in touch via the links below.